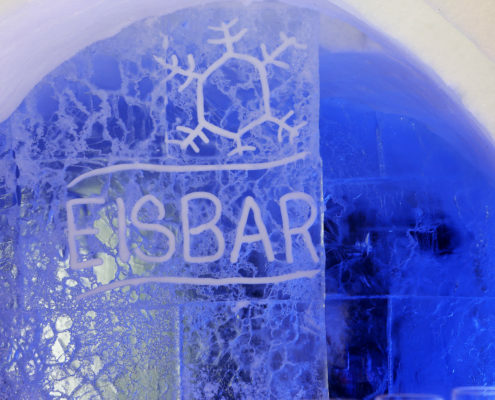 ALPENIGLU® EIS is your experienced partner for adverstising media made of ice. 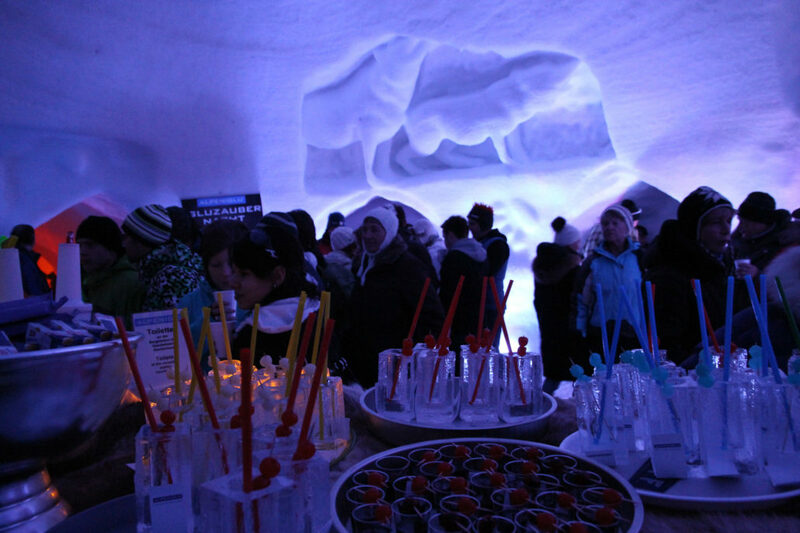 We create tailor-made ice blocks and are the ice artists that realise sensational ice projects and sculptures for you. 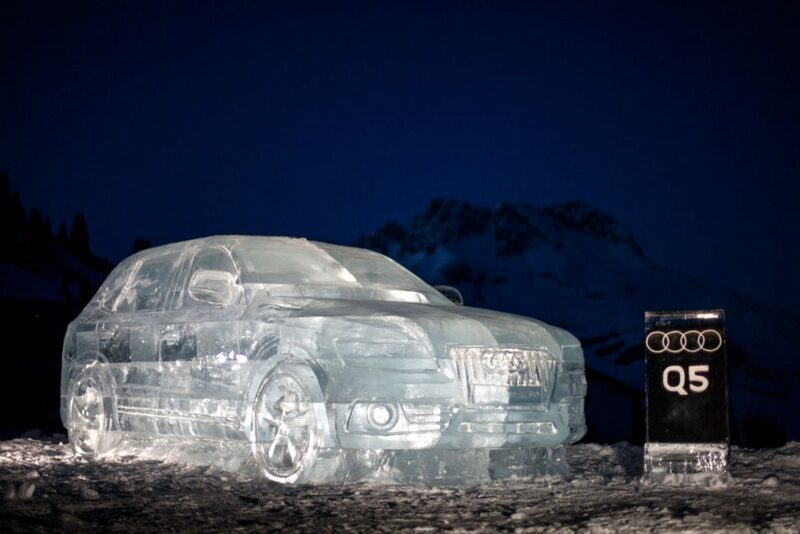 Art made of ice fascinates people in a very unique manner. 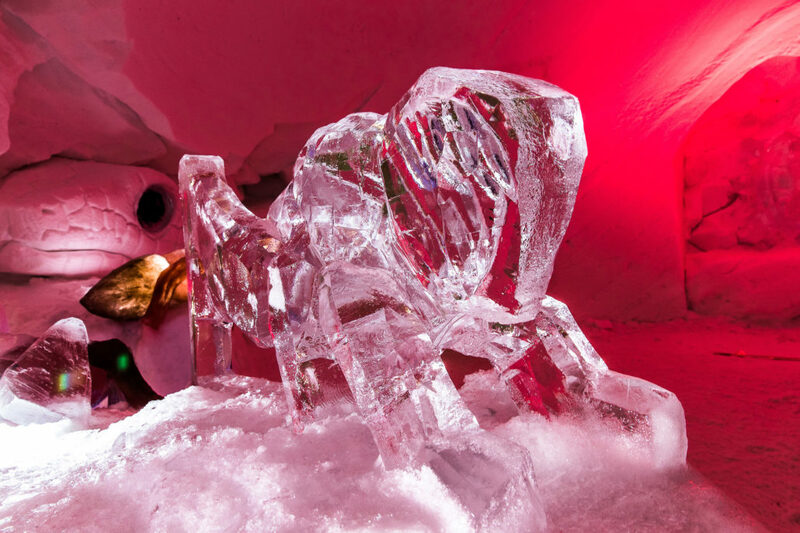 Ice sculptures are graceful and dazzling, sparkling and pure – nevertheless fragile and evanescent. 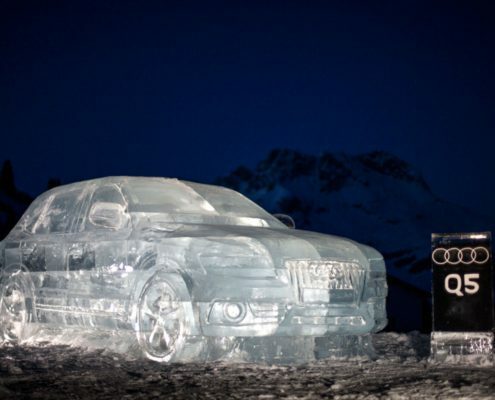 Maybe it is exactly this contradiction that attracts and fascinates us… when we come across ice sculptures and other breathtaking masterpieces out of simple frozen water. 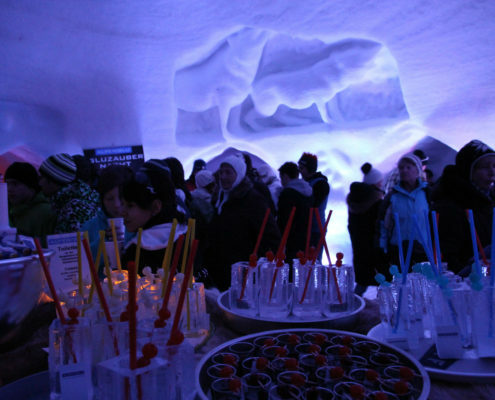 Of all our activities concerning the cool element the ice carving is the greatest passion of our team. 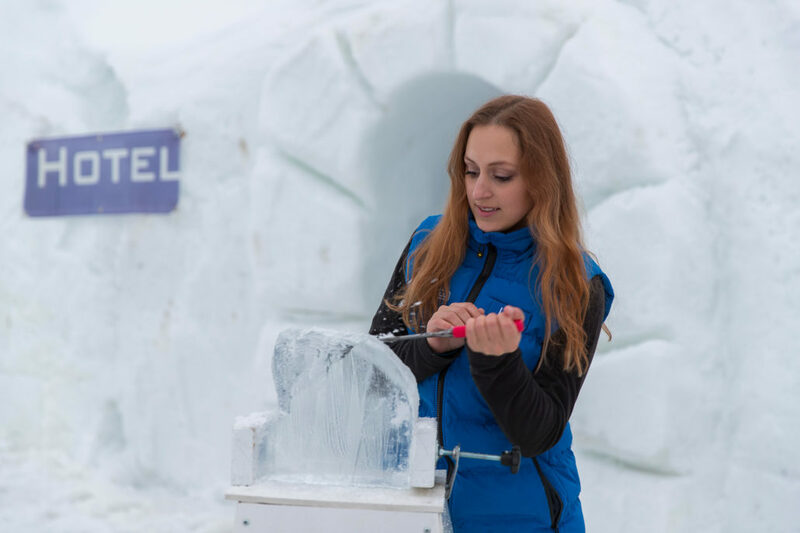 Hire our creative ice artists for a fascinating live event to create beautiful ice sculptures out of ice blocks. 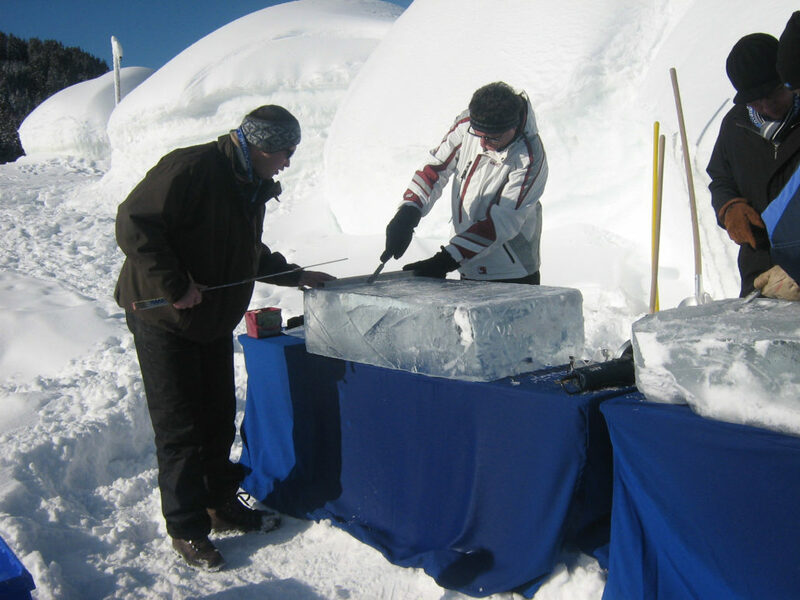 Of course, we also organise teambuilding events. 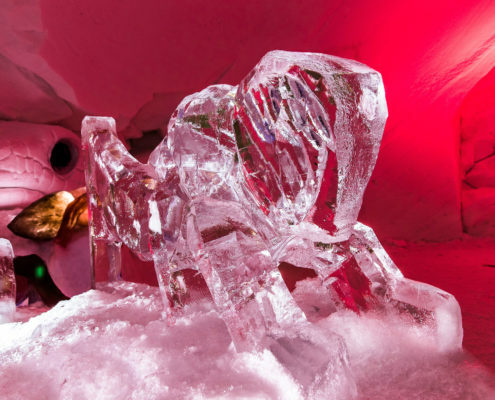 We provide all the necessary materials and knowledge so that your employees can become ice artists themselves. 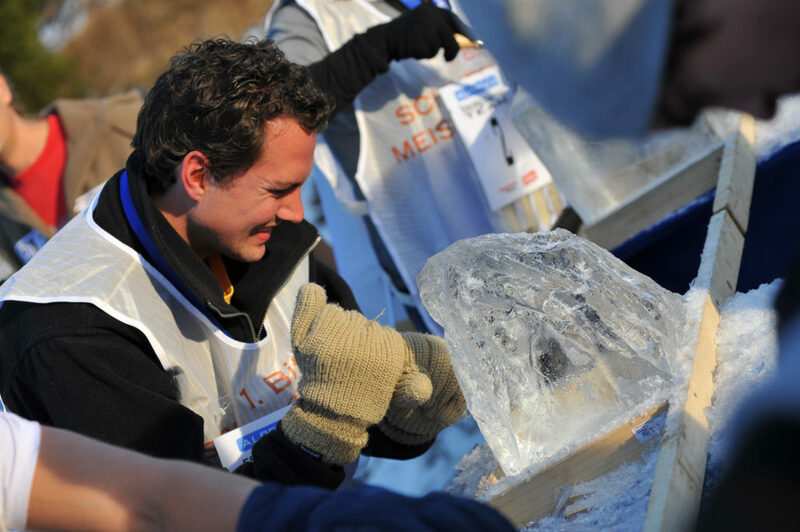 At the same time the team spirit and social skills will be improved. 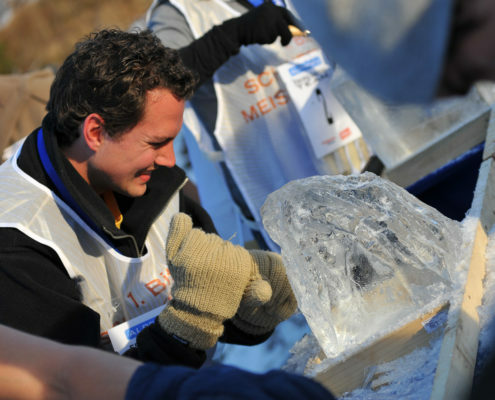 As an entrepreneur or an agency you want to develop something special for an event? 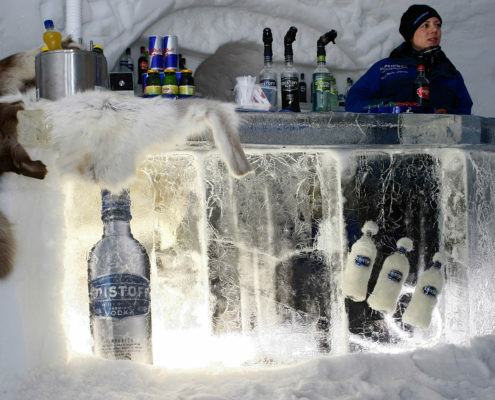 You need symmetrical ice blocks in a specific size for that? 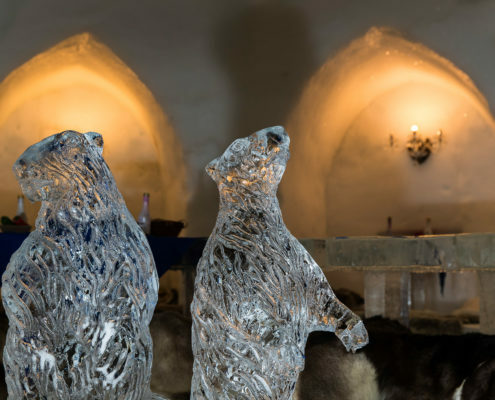 As a sculptor you want to shape unique sculptures out of ice? 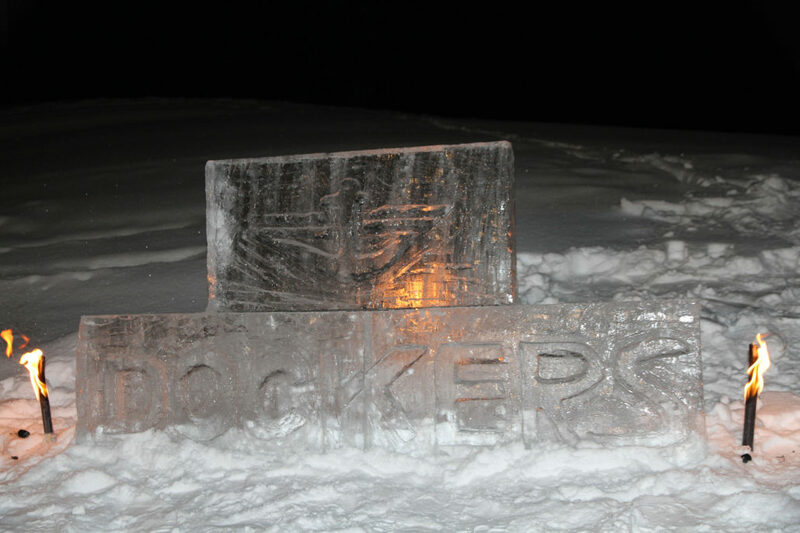 Don’t hestitate to contact us! 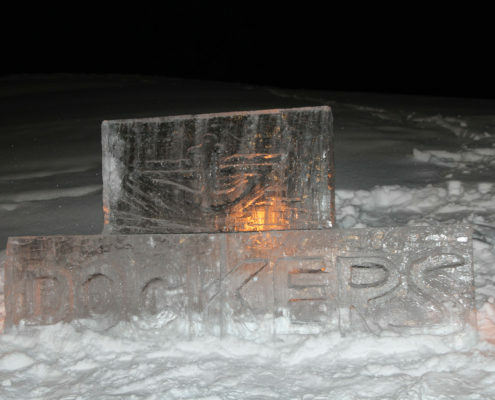 We can produce the ice block that you need for your project. 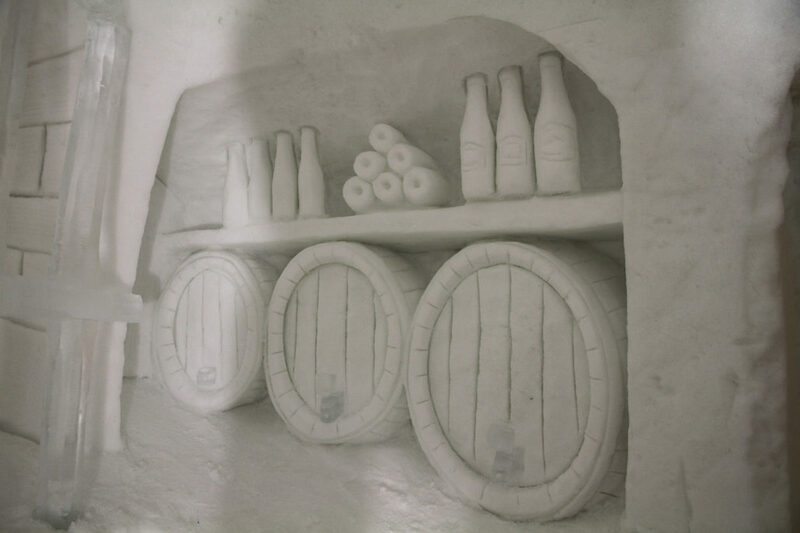 By request we also freeze your products in one of our ice blocks – a special eye-catcher for a trade fair or exhibition, wedding gift or unique present. 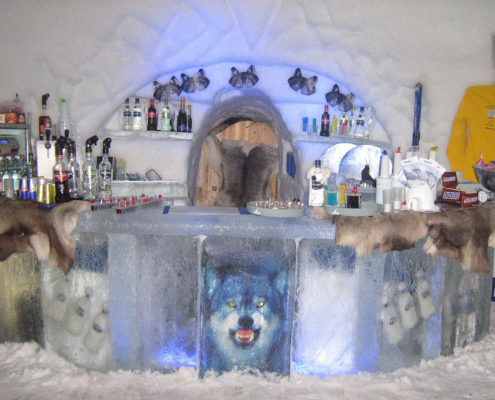 You are planning an outdoor Christmas party and want to surprise your guests with icy furniture? 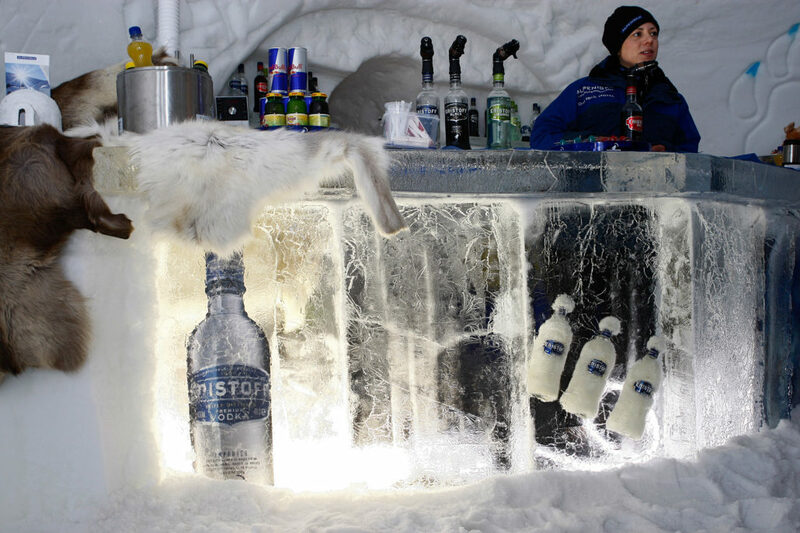 We design ice counter, glasses, bowls and even champagne buckets of ice for you. 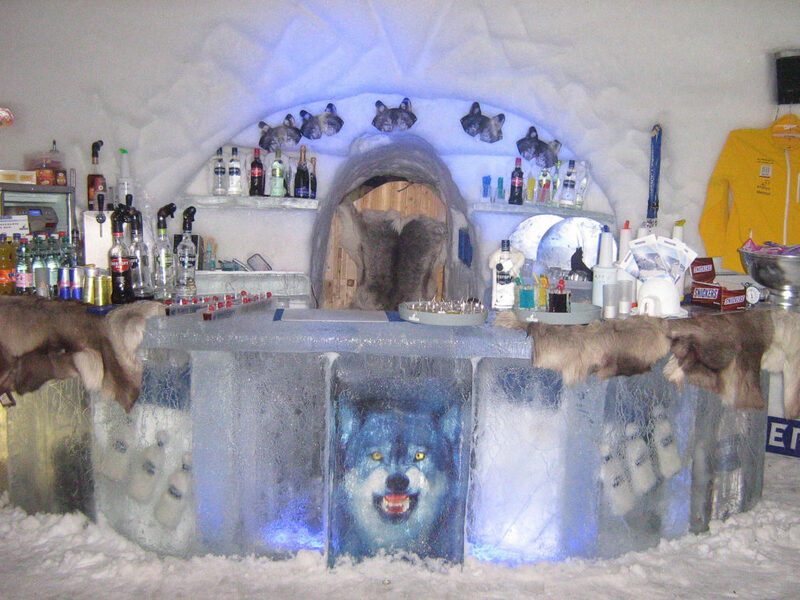 In addition to that we also build walls, huge blocks or a complete booth out of the remarkable material. 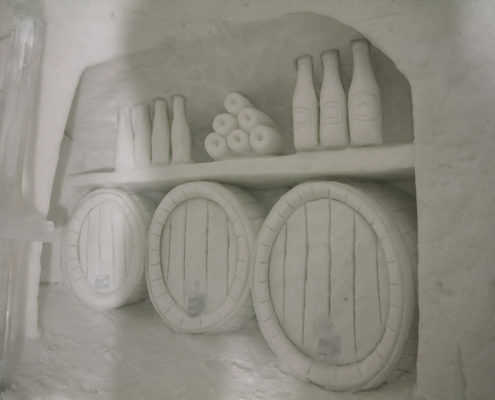 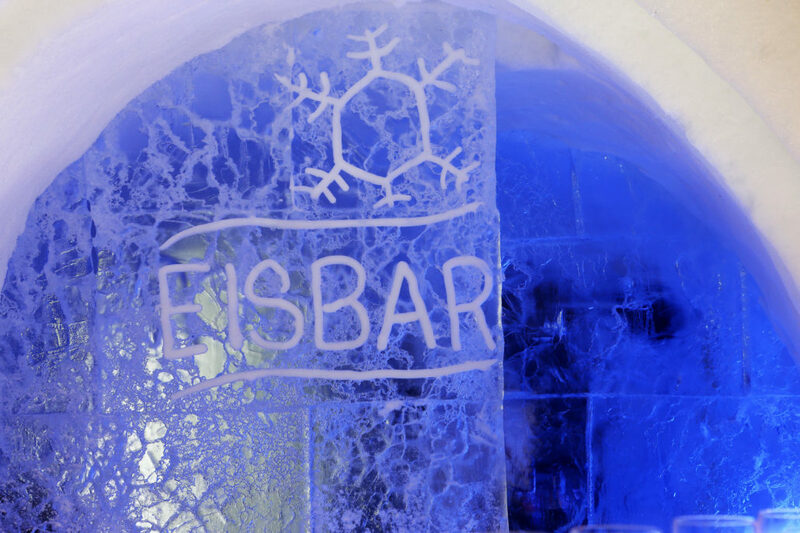 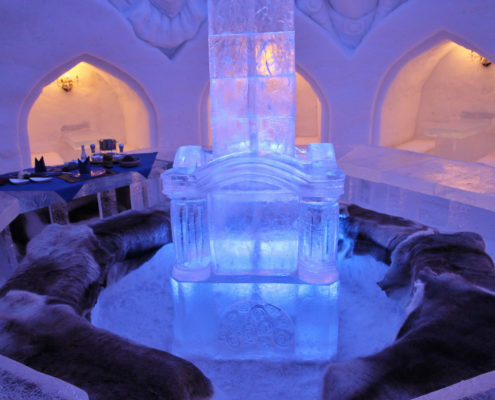 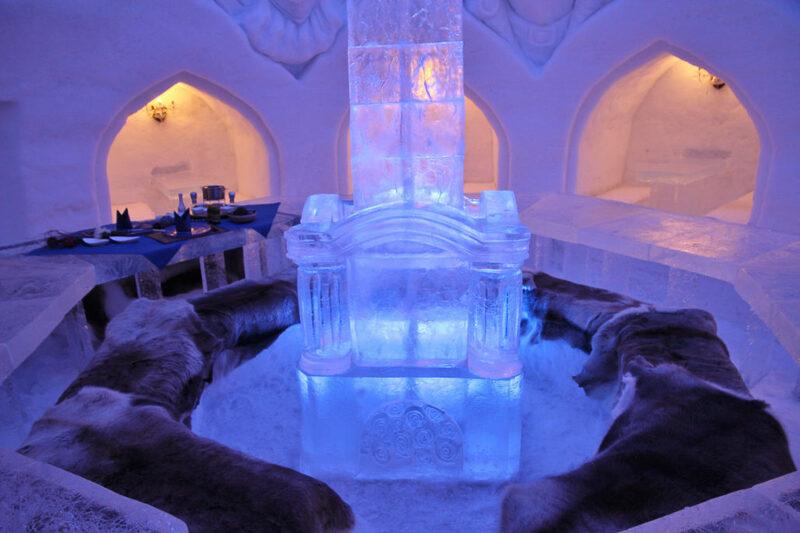 And when we construct a ice bar for example, we do not forget to embed your company logo in the front. 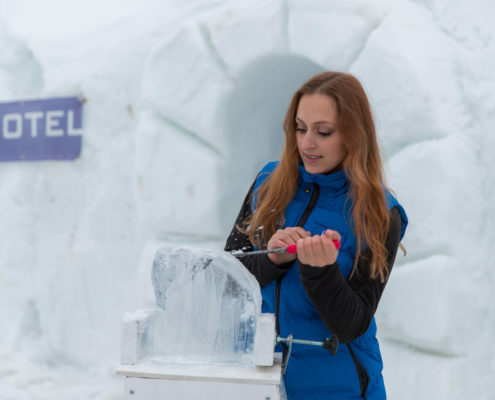 Convince yourself of ALPENIGLU® EIS and stop by our ALPENIGLU® village in the SkiWelt Wilder Kaiser Brixenthal – the igloo village with hotel, ice bar, art and adventure in the biggest ski area in Austria! 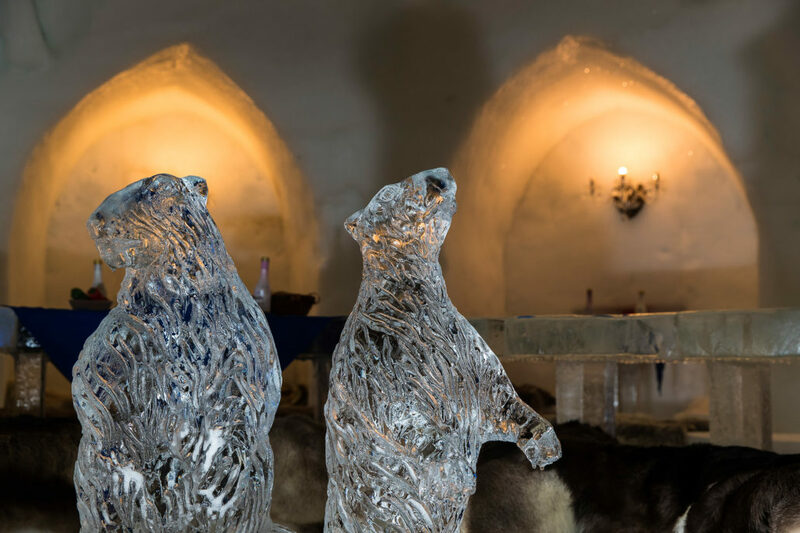 High quality, fair pricing for ice blocks or sculptures and a professional appearance will exceed your expectations – and leaves a cool impression! If you want to learn more about our service and your options do not hesitate to contact us.